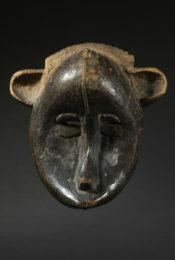 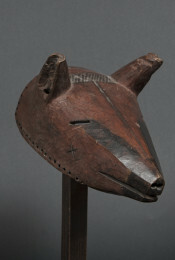 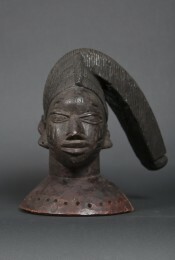 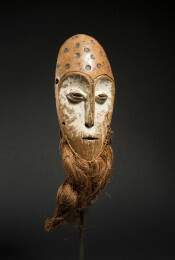 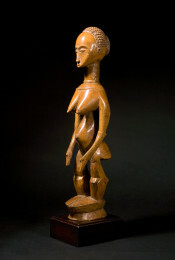 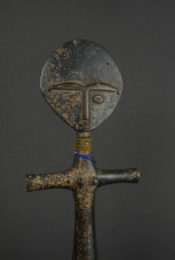 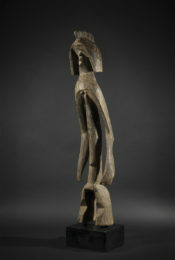 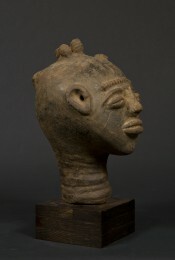 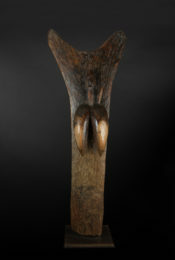 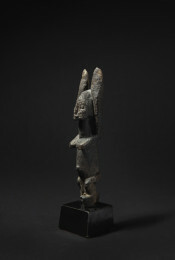 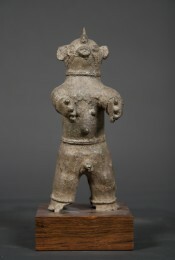 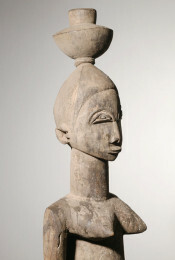 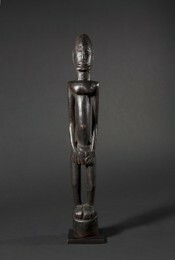 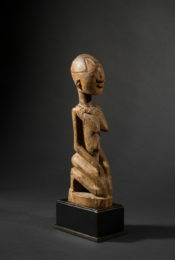 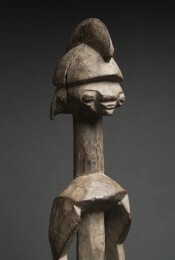 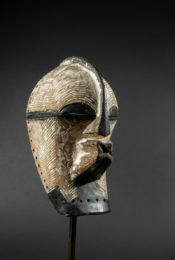 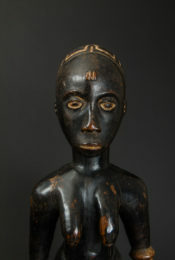 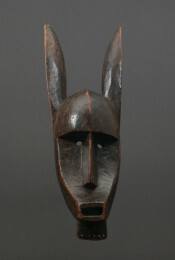 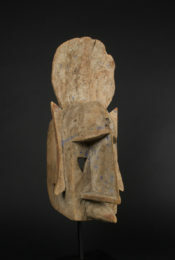 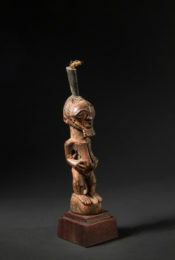 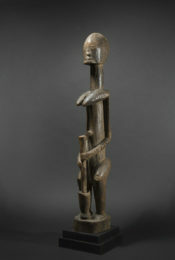 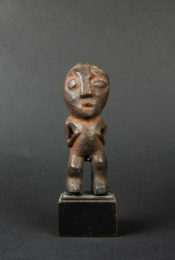 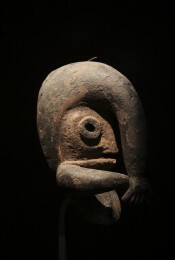 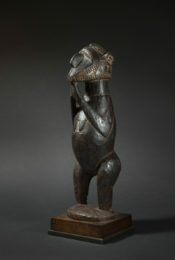 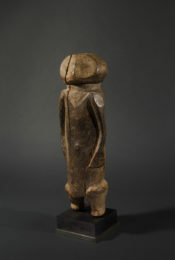 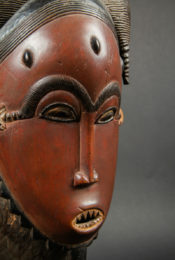 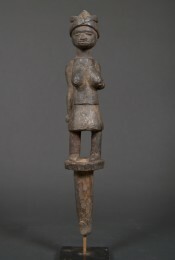 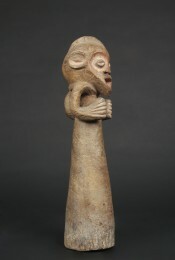 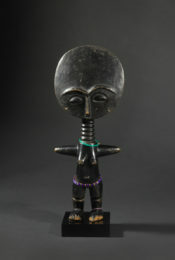 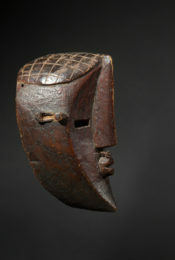 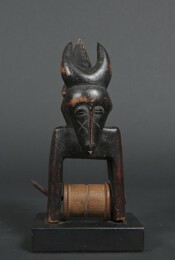 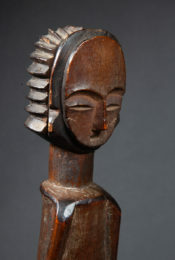 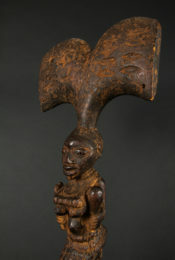 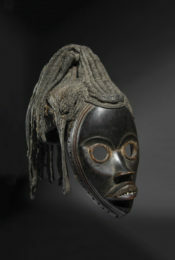 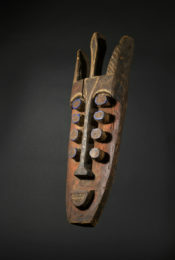 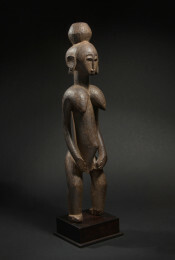 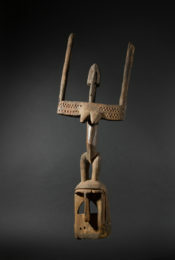 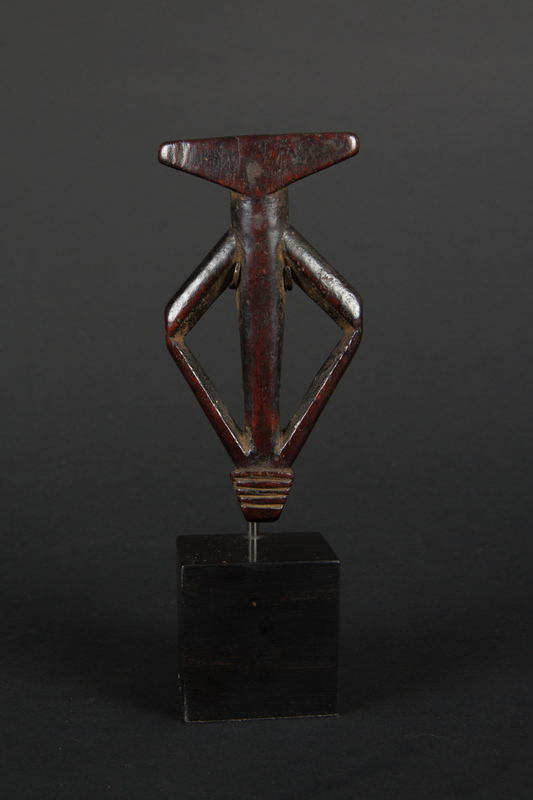 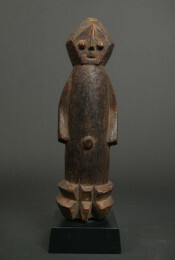 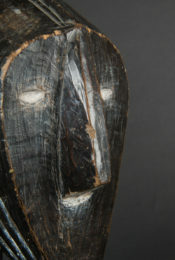 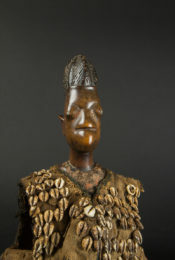 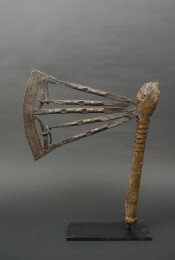 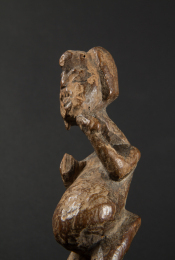 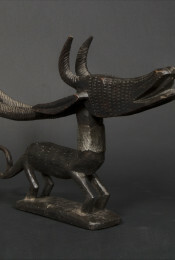 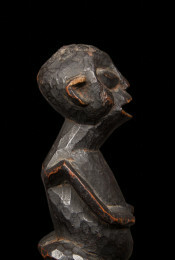 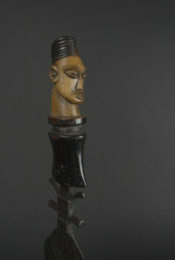 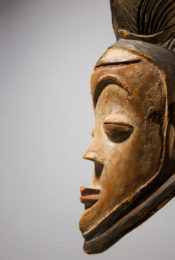 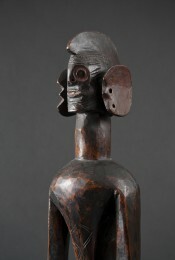 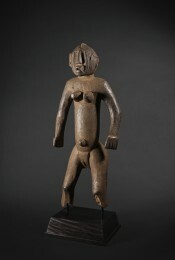 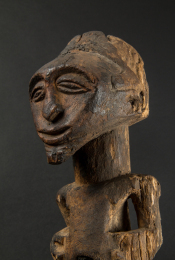 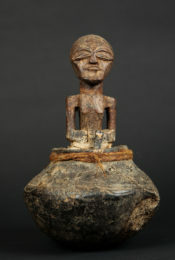 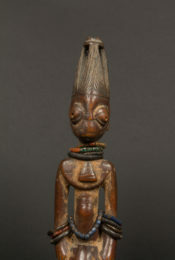 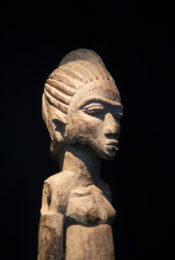 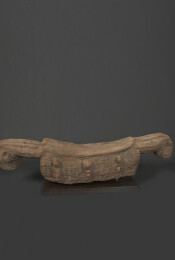 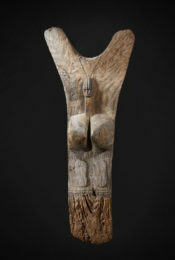 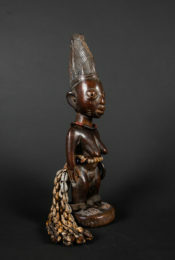 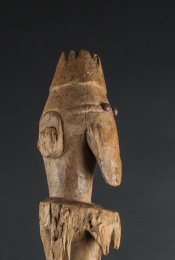 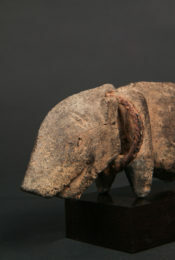 The musical instrument presented here is one of many 'anthropomorphic' style whistles found in an area stretching from Mali to Northern Ghana. 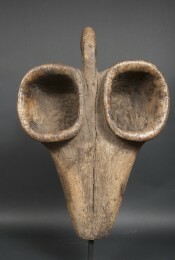 As stated by Helen Coleman (Sainsbury Centre for Visual Arts, Norwich, U.K.), smaller whistles were worn around the neck and larger ones across the shoulder. 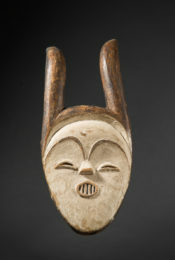 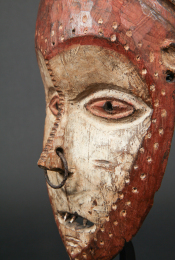 Held vertically when played and, with lips touching, the whistle is blown across the top of the mouth-opening. 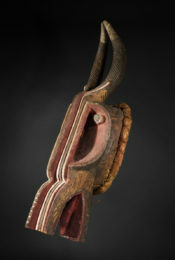 A hole in the side of one 'arm' allows a second tone to be played. 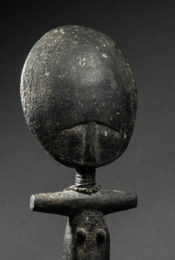 The hunting whistle was used for sending messages using locally agreed signals, similar to the use of drums elsewhere. 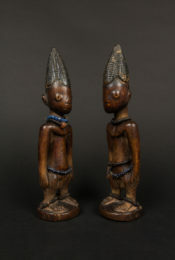 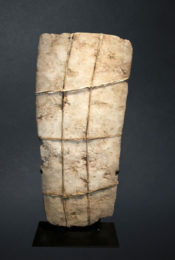 Though limited in tone, coded signals could convey numerous types of messages to the fields, the forest, another village, the market, a funeral or a dance, or report a fight. 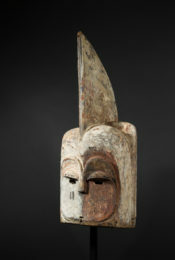 The time of day, arrivals and departures of friends or enemies could all be signaled. 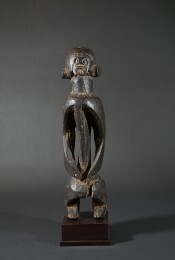 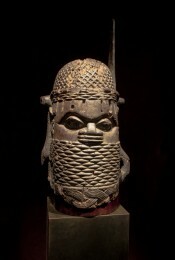 Whistles and other wind instruments accompany social and ceremonial dances in particular. 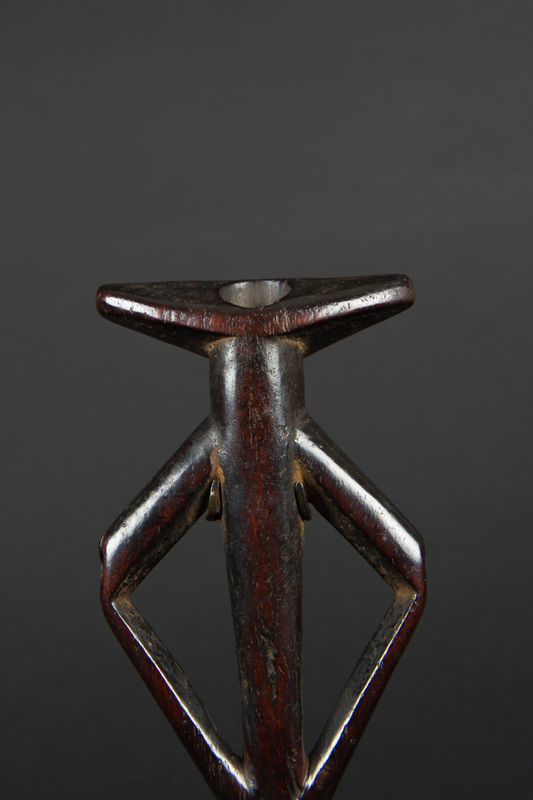 In most cases, whistles produce three notes by alternating air pressure using the two lateral holes of the instrument. 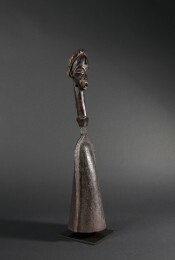 Such flutes are hung around the neck or over the shoulder. 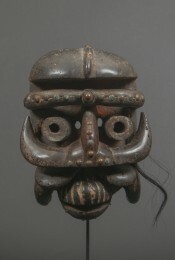 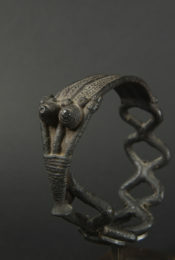 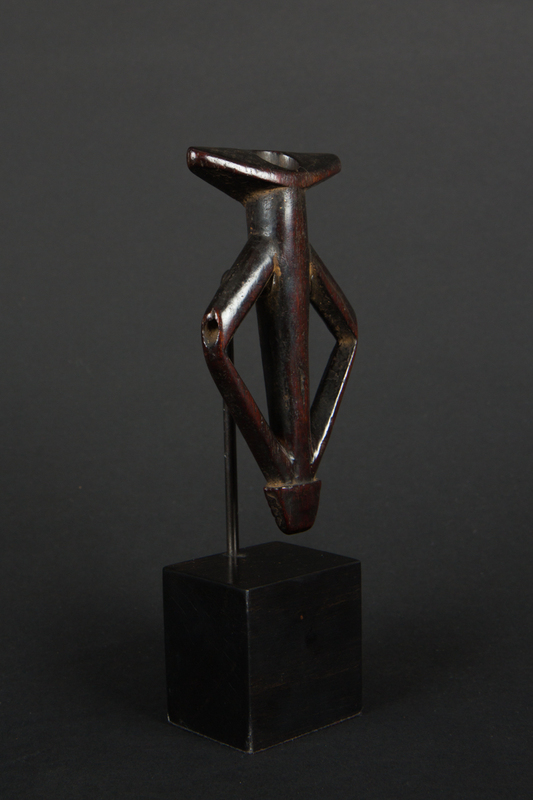 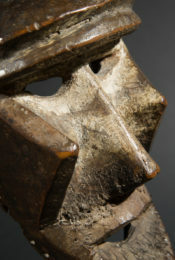 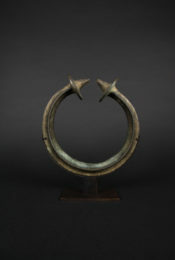 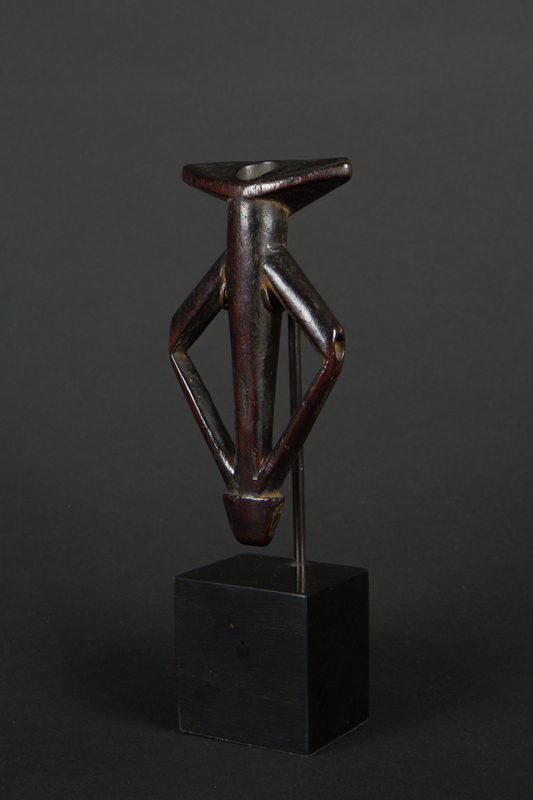 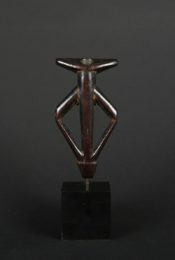 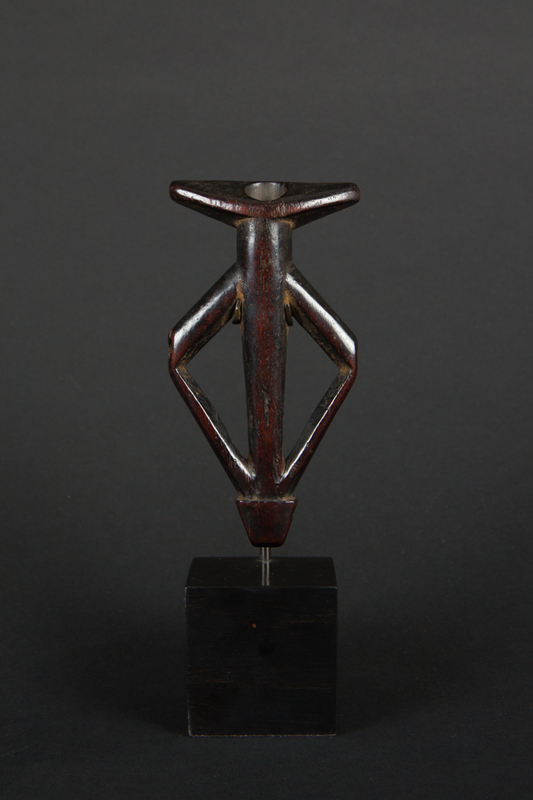 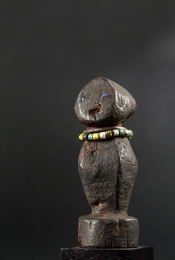 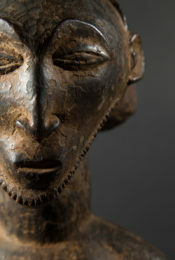 This anthropomorphic Mossi whistle is characterized by the balance and elegance of its forms, as well as by the deep, dark patina that is proof of prolonged use.